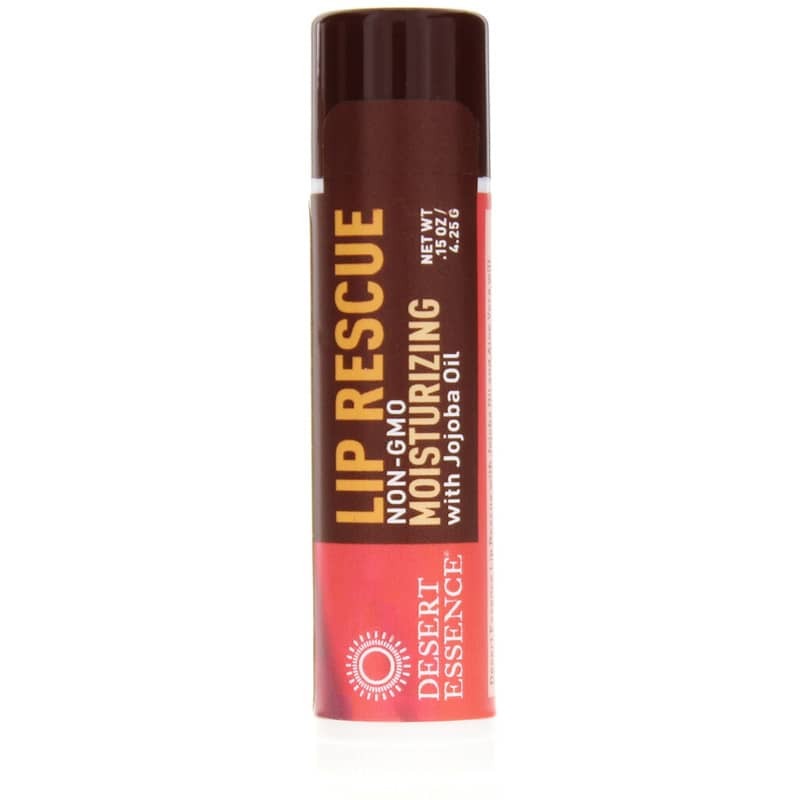 Desert Essence Lip Rescue Moisturizing with Jojoba Oil and Aloe Vera will keep your lips moist and soft. Save your lips from the adverse effects of extreme weather conditions and environmental pollutants by applying Desert Essence Lip Rescue. Just so we are clear, I am a lip balm junkie, we are talking la prairie, la mer, sircuit skin right down to the super market varities. I dont like anything containing petroleum or artificial content so I avoid those. So let me tell you this is by far one of the best lipbalms I have ever tried. I had a old one that contained just aloe vera and jojoba and I was trying to replace that when I came across this. So very pleased I did.This has been really great at such a great price. I have one lying around in random spots around my apartment and every bag.